Everybody is getting cyberized in Young and Cyber. Coming soon. This week Jim and Martin make a tepid return to Trust Your Doctor. Apparently they really like Cybermen because if you’ve been paying attention the first time they were on this glorious show was to talk about Revenge of the Cybermen. If you haven’t been paying attention, now you know. Also, we chose this story quite some months ago (almost 6) so the fact that it corresponds nicely with World Enough and Time and The Doctor Falls is legitimately a coincidence. But we talk about them anyway. Obliquely. It’s Spare Parts, written by Marc Platt and released in July of 2002. 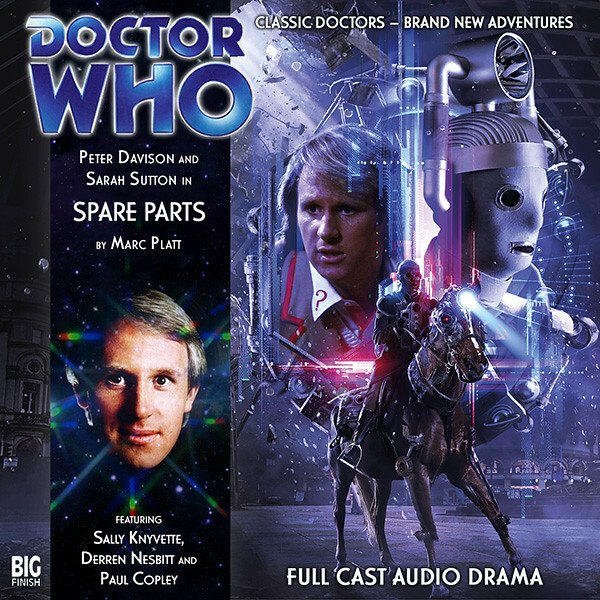 Spare Parts can be purchased for $3 (or your local equivalent) on Big Finish’s website. It’s also on Spotify.